Although religious differences and regional influences play a role, the rise of sectarianism in the Gulf is ultimately rooted in longstanding problems of governance and elite manipulation of Sunni-Shia identities. Beginning with the 2003 invasion of Iraq and concluding with the aftermath of the 2011 Arab uprisings, Frederic M. Wehrey investigates the roots of the Shi’a-Sunni divide now dominating the Persian Gulf's political landscape. Focusing on three Gulf states affected most by sectarian tensions–Bahrain, Saudi Arabia, and Kuwait—Wehrey identifies the factors that have exacerbated or tempered sectarianism, including domestic political institutions, the media, clerical establishments, and the contagion effect of external regional events, such as the Iraq war, the 2006 Lebanon conflict, the Arab uprisings, and Syria's civil war. In addition to his analysis, Wehrey builds a historical narrative of Shi’a activism in the Arab Gulf since 2003, linking regional events to the development of local Shi’a strategies and attitudes toward citizenship, political reform, and transnational identity. He finds that, while the Gulf Shi’a were inspired by their coreligionists in Iraq, Iran, and Lebanon, they ultimately pursued greater rights through a nonsectarian, nationalist approach. He also discovers that sectarianism in the region has largely been the product of the institutional weaknesses of Gulf states, leading to excessive alarm by entrenched Sunni elites and calculated attempts by regimes to discredit Shi’a political actors as proxies for Iran, Iraq, or Lebanese Hezbollah. Wehrey conducts interviews with nearly every major Shi’a leader, opinion shaper, and activist in the Gulf Arab states, as well as prominent Sunni voices, and consults diverse Arabic-language sources. This is an excellent book and an important piece of scholarship. Frederic M. Wehrey has written a compelling, thoughtful, and original analysis of the new politics of sectarianism in the Persian Gulf since 2003. He is well positioned to write such a book, having traveled extensively in the region and spent considerable time with the most important political figures in Kuwait, Saudi Arabia, and Bahrain. His tone is commanding, the research is impressive, and the result is timely and vital. Wehrey's book is the best study I have seen yet of these pressing matters. Wehrey has written a finely grained, insightful, and carefully researched contemporary study of Sectarian Politics in the Gulf. He offers insights on the broader Arab world and reveals that sectarian identity is no artificial construct but a culturally embedded and historically honed aspect of self. Yet he also demonstrates that sectarianism has been wielded cynically by both powerful rulers (Saudi Arabia) and insecure, easily manipulated monarchs (as in Bahrain) to foment division and divert legitimate accusations of injustice, discrimination, and opprobrious violations of basic human rights. This is the best book on the topic and a must read for policy makers. 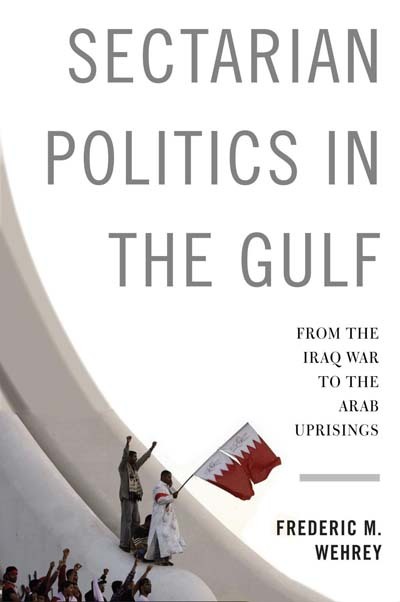 Offering coherent and lucid analysis of what has become a main feature of Gulf politics since the Arab Spring, this book is a must read for anybody interested in Gulf political dynamics and sectarianism in the Middle East. Wehrey’s new book offers a theoretically sophisticated and empirically rich overview of the politics of Sunni-Shiite relations across the Gulf. His extensive research on the ground across the Gulf comes through powerfully, as does his balanced analytical sensibility. It should be required reading for anyone interested in Sunni-Shiite relations or in the regional politics of the Gulf. In this magisterial account, Fred Wehrey goes a long way in demystifying and dissecting the issue of sectarianism in the Gulf…. [His] account is particularly refreshing for bringing scholarly gravitas to a subject that is all too often discussed in glib and superficial terms. Sectarian Politics in the Gulf is a must read that offers a fresh and innovative contribution to the literature in international relations and comparative government. It is extremely well written and laid out. The book belongs on the syllabus of any class dealing with Gulf security and on the desk of policy planners and decision makers around the world.